If you would like a career that allows you to help people, you should consider taking a home support worker program. As a home support worker, you will be able to help people, like the injured, elderly, expecting and nursing mothers, or people with disabilities, to become more independent and involved in their everyday life. Before choosing this career path, you should ensure that it is right for you so that you do not leave the profession shortly after graduation. If you are not sure, you can visit a reputable college in your area that offers the program to know what is required of you. Some colleges that offer this program also offer business, information technology and supply chain courses. Here are some benefits of taking a home support worker program in St John’s. 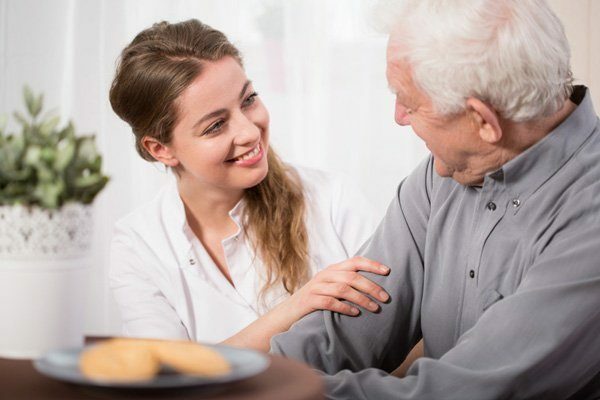 When you take a home support worker program, you are sure that you will always find a job since there will always be elderly, injured and sick people in the world who require help to perform normal tasks. However, this does not mean that all job opportunities provide full-time work. In fact, most home support workers start their career working part-time or as casuals. Fortunately, you will always have an income source after completing the program. When you have clients, they will require your assistance daily, and maybe even year round. You do not get to take Sundays off or rest on Friday night. Fortunately, home support jobs normally involve shifts, and you can adjust your shifts to hours that are convenient for you. Working as a personal care attendant gives you a lot of flexibility since you can make your own schedule. Unless you do not like helping people or do not particularly love working with people, you will enjoy working as a home support worker or personal care attendant. There are several work environments to choose from, including working with agencies, retirement homes, private homes, hospitals, or nursing homes. After completing a home support worker program, you can choose any work setting that you like. You can even choose to move from one setting to another. Making a donation or supporting a noble cause usually feels good. When you complete a home support worker program in St John’s, you get to help your clients bathe, eat, take their medication appropriately, and more importantly, you provide them with someone to confide in. As a personal care attendant, you play a big role in helping restore the health, happiness and dignity of your clients, which makes you feel good, as well. Working as a personal care attendant is very rewarding. You enjoy many benefits by taking a home support worker program in St John’s. However, it is important to choose a reputable college. Ensure that the college you choose has been around for at least ten years. Such colleges are reputable, and they offer quality training to students. It is also important to choose a college that offers other programs, such as business, information technology and supply chain courses in St John’s.